work independently, making contributions in their community. develop a vocational goal, and be connected to Adult Services. WVS wants to be part of what changes these facts for the future of our students! His dream is to own his own Auto Repair Shop. 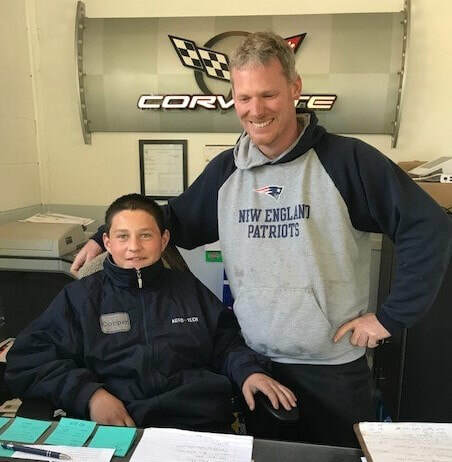 After Participating in Dream Builders Transition Curriculum Cooper was matched with Gordy's Garage owner Jason Laurson. Cooper is learning invaluable tools and skills to make his dream come true.